Ben Berkowitz is co-founder of SeeClickFix, a website and software application that allows users to upload pictures of infrastructure problems — like potholes or downed trees — and report them directly to local government. 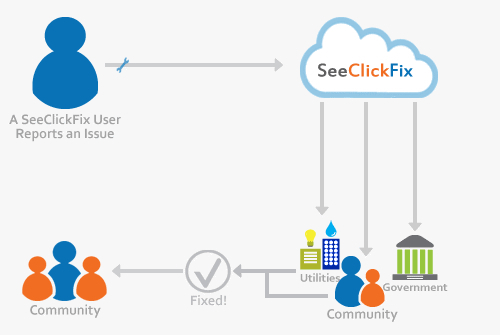 SeeClickFix offers its software and data to users for free. It also does paid work for municipalities, developing solutions to infrastructure problems from start to finish. SeeClickFix recently teamed up with The Huffington Post to assist with recovery from Hurricane Sandy. Ben sat down with Polis to talk about how users have reacted to SeeClickFix, and share his views on governance and entrepreneurship. 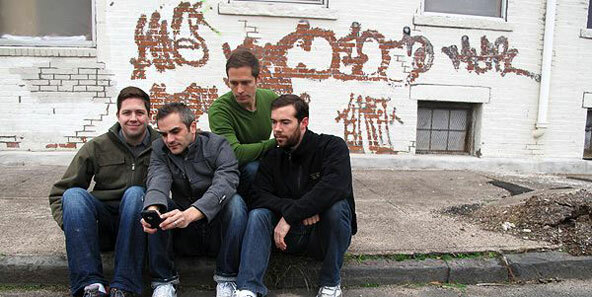 What inspired you and your co-founders to start SeeClickFix? There were a number of problems in my neighborhood that were supposedly being documented and dealt with through city channels. During an attempt to get graffiti off of a neighbor's building, I had the idea that publicly documenting the problem would help hold the government accountable. I think my co-founders were feeling some similar frustrations. I was also motivated by a general interest in getting involved with a social venture that could have a long-term impact on our community. New Haven is an unusual place for a tech start-up. Why did you choose to stick around instead of moving to New York or Silicon Valley? Miles [a co-founder] always jokes that the food kept him here longer than he expected. New Haven really has an amazing restaurant scene. Also, my family is here, and with food and family you tend to stay. Then, as if by local karma, you find that there are all these other awesome reasons. Access to talent is really high because of the universities, and demand is not as high for technical people here as in Boston, NYC, the Valley or even Boulder. And, of course, the city itself is a fun place; there are lots of livable, walkable, cyclable places — the same things I enjoy in some of my favorite big cites like Boston, New York and Vancouver. When you first brought the idea of using SeeClickFix to local government, what kind of response did you receive? I was not expecting it to go as smoothly as it did. I didn't expect issues to get fixed when we made them public. I suspected that local government wouldn't like us right away. But it works, and it turns out most local government officials actually do want to do their jobs. More and more governments are partnering with us and not trying to look the other way. Also, I was surprised that so many governments started using our software for managing internal data. I have lots of faith in the engineers on our team and we're building really good software, but I thought that "legacy software" was more entrenched in local government than it was. When I started, I had a very "us vs them, citizens vs government" mentality, and now I have more of a "we" mentality. There are people on both sides who can be disruptive to the community, and people on both sides that can really make the community a positive place. Do you think SeeClickFix has succeeded in helping residents and local government connect? Definitely. People have gotten together to resolve things, people have gotten together to discuss things, people have gotten together to lobby things, people have helped each other. Here's my anecdote of the week: Users reported a desire for a dog park in a previously unused public space, and we helped fundraise for the dog park and got it put up. I just saw a report that a woman's purse had been found in front of the dog park and was posted to SeeClickFix. I'm not sure if she's gotten her purse back yet, but it's amazing to think that the incident might not have been reported if that park hadn't been there. What do you think is the biggest problem in local government today? Inefficiencies. General inefficiencies, communication, allocation of resources, failing infrastructure. I think that a great strategy is including more people in the act of governance. That's not a statement about big or small government; it's just a statement about more inclusive government. It's remarkable how many people from local government are willing to invite people in to help make communities better, and also what local citizens are willing to do in their neighborhoods that they wouldn't normally think of as governance. It would be great if the federal government could have as much success, but all the lobbying and politics get in the way of the things that really matter to people. How would you characterize the role of entrepreneurship in cities? Entrepreneurship is invaluable to cities. Any kind of culture that says, “Get it Started” and “Do it Yourself” is good if you're working at a nonprofit, if you're a kid in 4th grade selling lemonade, if you're the director of public works or if you’re the C.E.O. of a local tech start-up. That willingness to try something with minimal resources is what sparks innovation and keeps the country going. I’ve seen local government wake up to that, from New York City to much smaller cities like New Haven. very inspiring work. this is just the kind of ict that we need in the physical world. This article addresses the importance of communication between individual residents, their communities, officials and city planners. The author of this piece is coming from a perspective that I believe most close to Jane Jacobs. The idea that people have control of their area based on their population of the streets parallels that of Jane Jacobs’ theories. Jane Jacobs as an advocate of tactical urbanism believed in the voice of the people in that they would be able to shape the environment that they dwelled in. Tactical Urbanism is largely based on the enhancement of the livability of cities. It understands this concept by using public spaces as a laboratory, a means in which to effectively test for small, activist spatial practices. The aim is to have a more hands-on approach of local people which objective is to reclaim the streets for its occupants and stimulate long term changes. Her theories community development and perception was that these places perceptions were influenced by residents and as such they themselves could induce change. She critiques the apparent lack of communication and information within these communities. Tactical urbanism takes the changing of character of urban areas to a whole new level, as this ideal allows residents to target specifically what they believe their neighborhood changes should be based on their own experience in the area. Who better to address and meet the needs of these communities than the people who live there day to day? During an interview conducted in response to this article a man presented a technological response that is tangential to tactical urbanism. There is a truly innovative idea about an effective measure being taken to help foster communication so as to address "problem areas" within these communities to officials who are in positions to rectify these inequities. Ben Berkowitz is a co founder of SeeClickFix. With this application users are able to take and then post pictures with infrastructure problem so that the local government can become directly involved. Completely bypassing the hassle of a time consuming bureaucratic process. With innovative technology such as this potential options are infinite. I am curious communities become more dependent on technology for these interactions and how that may begin to impact its collective culture of these areas? Also curious about the relationship with local government; often which in "problem areas" is one filled with tension and resistance.